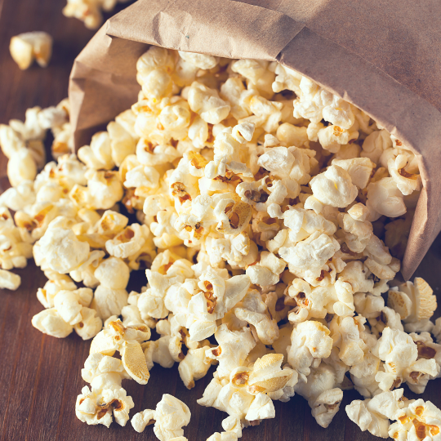 Try our POPular recipe for an easy to make salted caramel popcorn that will literally melt in your mouth! Pop the popcorn as instructed by the packaging. Set aside in a large bowl. In a medium-sized saucepan, heat the butter until melted and stir in the brown sugar. Bring to a boil for 3 minutes. While the caramel is boiling, mix together the salt and baking soda. After 3 minutes of boiling has passed, add it in and stir till combined. Take the saucepan off the heat and pour it in batches into the popcorn, stirring the popcorn after pouring the caramel in each time.